Nepal is a popular tourist destination, especially for those who love adventure, trekking, and climbing. Explore the nature and become a teacher at the same time at the popular CELTA centre in Nepal’s capital. Studying for your CELTA in Katmandu has never been so interesting. Combine your passion for outdoors with your passion for further learning and teaching ESL and you’ll surely be rewarded. Nepal’s a country that has a long history. It’s known for its stunning natural beauty, which is why it’s absolutely essential to book a few more days either side of your CELTA course in Katmandu to really experience everything the country has to offer. You’ll be able to admire the awe-inspiring mountain peaks which will surely make you feel on top of the world, and if you’re looking for a bit of extra adventure then there are also plenty of things to do for the thrill-seeker such as climbing, mountaineering, skydiving, rafting, and even taking a hot air balloon ride. Do you really want to pass your CELTA? Stop wasting your time trying to pull together scraps of vague advice from online forums, social media and blog articles. 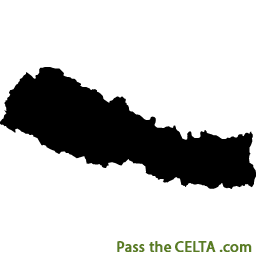 The CELTA Learning Library is your secret to an easier, less stressful CELTA course. Discover the best CELTA preparation tips and advice, all written by someone who passed the CELTA with the highest possible grade!